Home - More plastic bags than fish? Marine plastic pollution is the new environmental threat facing mankind. This is also afflicting East Asia where six countries are major pollutants. While some in the region have started tackling this new menace, more can be done by all, writes Lina Gong. The United Nations Environmental Programme (UNEP) convened the 4th Session of the UN Environment Assembly in Nairobi Kenya from March 11 to 15, 2019 to discuss strategies to meet the environmental and climate-related challenges as outlined in the UN’s Sustainable Development Goals (SDGs) by 2030. Among the areas discussed include the protection of oceans, with a specific focus on curbing marine plastic pollution. This reflects the growing threats posed by marine plastic wastes as a report released at the World Economic Forum in 2016 predicted that there would be more plastic waste than fish by 2050 without effective intervention. The conference adopted resolutions on promoting sustainable development, including one that calls for cooperation in reducing marine plastic debris. The increasing emphasis on the protection of marine environments has also been seen in East Asia. Countries in East Asia have been confronted by the threats posed by the growing amount of marine plastic debris in regional seas. According to a report by the Ocean Conservancy and the McKinsey Centre for Business and Environment in 2015, China, Indonesia, the Philippines, Vietnam and Thailand accounted for 60 percent of the plastic waste disposed in the oceans across the globe. Japan ranks second globally at the per capita level. Marine plastic pollution therefore can threaten the security and development of regional countries in many ways. It destroys the marine ecosystem by killing sea creatures and polluting the marine environment. Microplastics enter our food train as people consume seafood and fish that are contaminated. This can be a potential threat to food safety and public health across Asia as many people in the region rely on seafood for protein intake. Unsustainable practices in the marine-related economic sectors in the region have contributed to the surging amount of plastic debris in regional seas, which in turn harms the performance of themselves eventually. For islands like Bali and Boracay that depend heavily on revenues from tourism, severe plastic pollution in the coastal areas damages their reputation as popular tourist destinations. Disruption in the marine ecosystem can also intensify competition between states for marine resources. In recognition of the severity of the challenge, countries in the region have taken actions. At the national level, countries are strengthening efforts tackling the challenge. Indonesia has set the target to reduce marine plastic debris by 70 percent by 2025. To this end, the central government for instance imposed a trial of taxing single-use plastic bags in some cities in 2016 and pledged in 2017 one billion US dollars to reduce marine plastic debris and other wastes. In Singapore, the government has also increased attention to its marine landscape. The National Parks Board in collaboration with the International Coastal Cleanup, an environmental NGO, started a joint two-year study in 2017 to monitor debris and microplastics at nine coastal sites. Conservationists and scientists presented a report, titled The Blue Plan, to the government in October 2018, which included recommendations on how to monitor and reduce marine plastic waste. Vietnam and the Philippines are developing national action plan or strategy to deal with the mounting challenge. The Japanese government started in August 2018 the discussion a draft national strategy with specific goals and targets. There are also discussions on strengthening regulations and laws related to the issue. For instance, Japan passed a bill in June 2018 aimed at reducing microplastics. The common awareness of the increasing threat of marine plastic debris constitutes a foundation for joint regional efforts. From October 28 to 29, 2018, Indonesia held the Our Ocean Conference in Bali, during which Indonesia together with New Zealand and Japan initiated the call for regional cooperation in tackling marine plastic waste and invited regional countries to join the initiative. Subsequently the East Asia Summit (EAS) adopted the Leaders’ Statement on Combating Marine Plastic Debris in November 2018. Further Indonesia is now pushing for developing a Regional Plan of Action to be adopted in the EAS in 2019. Thailand as the Chair of Asean also sees addressing the issue of marine plastic debris as part of its overall effort in promoting sustainability through cooperation and partnership. Asean held the Special Ministerial Meeting on Marine Debris in Bangkok on March 5, to discuss how the region as a whole can address the challenge through strengthened cooperation. 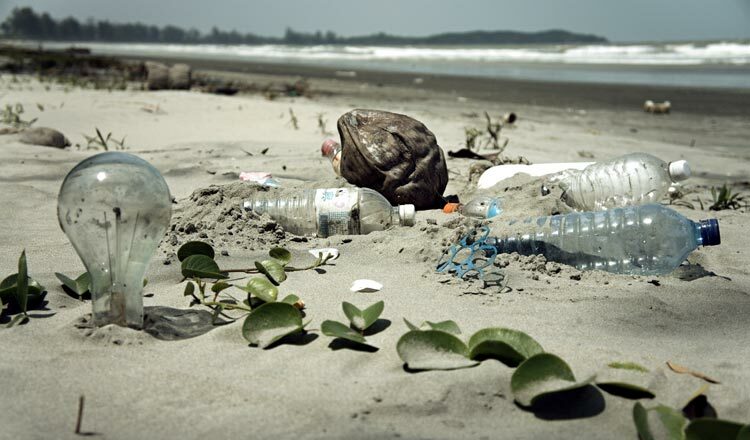 A regional declaration on combating marine plastic wastes is likely to be presented to Asean leaders later this year. The increasing attention to marine plastic waste reduction has entailed strengthened government commitments to and public awareness about the issue. To reduce marine plastic debris and microplastics more effectively, a holistic approach is necessary. It should include not only restriction or prohibition of the use of single-use plastic products but also improvement in waste management, legislation, law enforcement, transformation of consumption and production, financing and application of technology. Despite the increasing awareness and commitments, challenges and barriers remain. Restriction over the use of single-use plastic products is likely to increase business costs and thus meet resistance from the business community, which may influence government policies. For instance, while the Indonesian government started in 2018 drafting a regulation to tax plastic bags, the draft is still being debated by different ministries and the release is likely to be later than expected. Moreover, reducing single-use plastic products and increasing recycling means gradual changes in people’s habit of consumption. To seek public understanding and cooperation, awareness-raising and incentives are necessary at the initial phase. Grassroots groups, both governmental and non-governmental, are on the forefront to facilitate changes. The Philippines and Thailand respectively closed down tourist islands in 2018 to tackle coastal and marine pollution including plastic waste, but this raised the concern over the livelihood of the local communities dependent on the tourist industry. Therefore, incentives and alternatives are needed to ensure the understanding and cooperation from these actors. Technological advancement that makes the degrading of plastic less harmful for the environment also contributes to the solution. Japan initiated cooperation with Asean in this area by providing technological and financial support for the Knowledge Centre on Asean Marine Debris. The epistemic community and private sector have important roles in terms of providing technological expertise and financing schemes. A holistic approach that addresses different dimensions of marine plastic pollution and involves multiple actors is essential for effective solutions to the challenge.